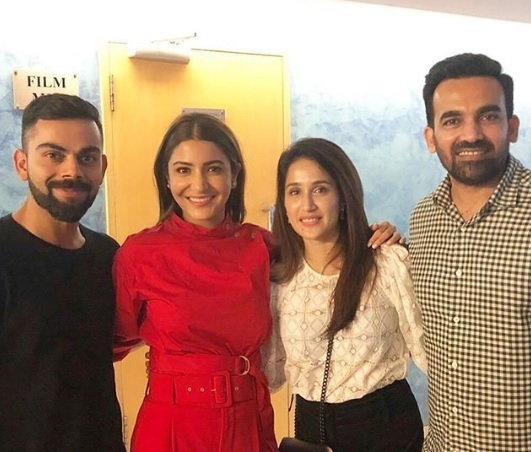 Indian cricket team captain Virat Kohli, who is currently away from cricket, is impressed with his wife and Bollywood diva Anushka Sharma’s acting in her recently released movie Sui Dhaaga: Made in India. The cricketer also praised actor Varun Dhawan’s work in the film but gave Anushka a cut above in his tweet. “Saw @SuiDhaagaFilm for the second time last night and I loved it more than the first time. What an emotional rollercoaster with brilliant performances by the entire cast. (1) #SuiDhaagaMadeInIndia,” he wrote. The movie Sui Dhaaga is a story of a small town couple, Varun as Mauji and Anushka as Mamta, who go through all the stumbling block to start their own business.